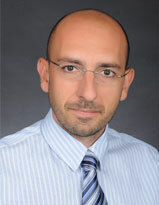 Thomas-Nektarios Papanastasiou is an assistant professor of public international law. He holds a doctorate (PhD), specialized in International Investment Law and a Master’s degree (MA) in International Relations (Waseda University, Graduate School of Asian Pacific Studies). He also holds a Master’s degree (LL.M) in Civil Procedure (Law School, University of Athens) and a law degree (LL.B) (Kapodistrian University of Athens). Dr. Papanastasiou is an attorney licensed to practice from the Athens Bar Association (since March 2005). He has worked for international organizations, as a consultant to the World Bank (WB, Washington DC), as a trainee at the Organization for Economic Cooperation and Development (OECD, Paris) and on a development program for the Japan International Co-operation Agency to Manila (Philippines). He has also worked as a researcher for Japanese organizations in Tokyo, the Waseda University Organization for Japan-US Studies (WOJUSS), the Mitsubishi Research Institute (MRI), and as a tutor for the Waseda University Writing & Research Centre. He is also a lecturer at the Police Academy of Cyprus.